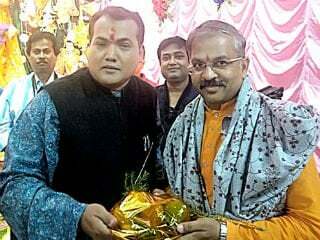 Home > News > Golden Dawn of Hindu Rashtra is on the horizon ! Golden Dawn of Hindu Rashtra is on the horizon ! This year is the eighth year of All India Hindu Convention organised by Hindu Janajagruti Samiti, with the objective of establishing the ‘Hindu Rashtra’. The common Hindus, who hold pride about the Nation and Dharma started coming together after taking inspiration from the first All India Hindu Convention held at Ramnathi, Goa in 2012. 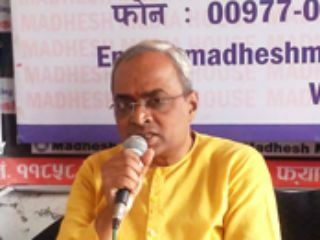 Through these Conventions, held every year, an apex-organisation (‘National Hindu Movement’) of hundreds of devout Hindu organisations all over the country has fructified within a short period. Hundreds of devout Hindu organisations, who dedicatedly fought against a few problems at a time amongst innumerable assaults on Hindus such as ‘Love jihad’, religious conversion of Hindus, cow slaughter, displacement of Kashmiri Hindus, denigration of Hindu Deities etc., were inspired with a single expansive and comprehensive goal of establishing the ‘Hindu Rashtra’. This organisation did not limit itself only to the devout Hindu leaders and activists; but, there was an insurmountable unity of experts associated with various fields such as Dharmacharyas, Saints, followers of various sects, retired judges, advocates, editors, journalists, industrialists, thinkers, historians, doctors, expert instructors on self-defence etc. Hundreds of devout Hindu organisations from the 22 States of the country, and also from Bangladesh, Nepal, Sri Lanka, Malaysia etc. were united to form a strong and powerful unity. The nature of this organisation has remained not only at the topical and philosophical levels, but it did achieve a level of consistent activity. Because of the fear of jihadi terrorism in the 90s, when not only hundreds or thousands but 3.5 lakh Kashmiri Hindu families were forced to abandon their houses, money, apple orchards etc., there was not a single political party to talk in their support. There has been no agitation in any part of the country, leave alone at national level. Today’s picture is different. 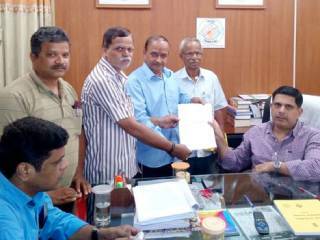 Today devout Hindu organisations perform agitations under the aegis of ‘National Hindu Movement’ (Rashtriya Hindu Andolan) in 50 cities across 10 States, at the same time each month against any assault on the Nation and Dharma. Through the medium of these agitations, the Hindus and the devout Hindu organisations across the country are gathering irrespective of their caste, sect, organisation, State, political party etc. and raising their voice effectively to reach the Government corridors. After having reviewed the outcome of all the Conventions till date, let us have a look at the agenda of the current 8th All India Hindu Convention. 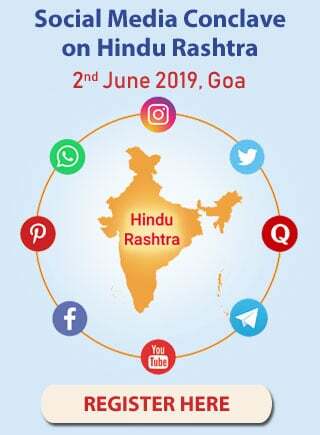 As a part of the 8th Convention to be held from the 27th May to 8th June 2019 in Ramnathi, Goa, Devout Hindu Lawyers Convention will be held on the 27th and 28th May. 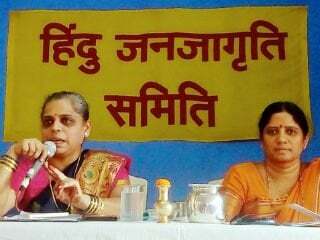 Hindus battling to safeguard the interests of Hindu Dharma have to face injustice on various fronts. In such cases, it is necessary that they get free legal aid. In this context, devout Hindu lawyers from across the Nation started uniting in the past numerous Conventions. This 4th Convention will further strengthen their unity. On the other hand, training devout Hindus, who are actively striving for the higher cause of establishing the ‘Hindu Rashtra’, to hold campaigns from the legal angle by imparting them necessary training about the law, information on how to file Public Interest Litigations and how to use the Right To Information Act can magnanimously enhance their output in the mission of spreading Dharma, uniting Hindus and protecting Dharma. Also, this Convention will help to put up a united front in the legal battle against corrupt forces prevalent in the judiciary. Today, for the mission of establishing the ‘Hindu Rashtra’, meaning reinstatement of Dharma, contribution at every level is essential such as ideas, money, manpower etc. In the mission of establishing the ‘Hindu Rashtra’, the contribution by philanthropists is also as important as that of Brahmatej (Radiance of Brahman) and Kshatratej (Radiance of warriors). With the objectives of enhancing the unity of businessmen and assist them in performing spiritual practice through this medium, Businessmen’s Convention is organised on 28th May 2019. The 8th All India Hindu Convention will be held from the 29th May to 4th June. During this Convention, there will be exchange of views with respect to the injustice and harassment faced by Hindus in the Nation and abroad. Also, there will be contemplation on how to effectively strengthen united Hindus at the National level for protection of the Nation and Hindu Dharma. In addition, a Common Action Program for establishing the ‘Hindu Rashtra’ will be charted for the years to come. 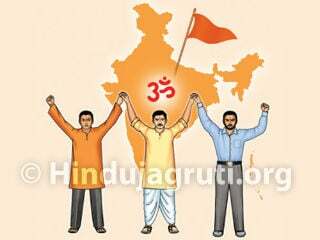 Unification of Hindus is the foundation of for establishing the ‘Hindu Rashtra’. This fact marks the significance of the 4th Hindu Rashtra Organisers conference to be held from the 5th to 8th June. This Convention will provide insights and guidance on various topics such as, qualities of an ideal organiser (Sangathak), which personality defects should one overcome in order to become a capable organiser, necessity of complementing one’s qualities with spiritual practice, etc. This workshop will churn out aspiring organisers fuelled by the ambition of establishing the ‘Hindu Rashtra’. Not a single problem of Hindus has been solved in the last 70 years. Abrogation of Article 370 in Kashmir, building Ram temple, protection of Hindu temples, protection of cows, Uniform Civil Code etc. have remained unsolved. On the other hand, devout Hindu leaders were persecuted. In the States such as Bengal, Kerala etc., the killings of devout Hindu leaders are still going on. On the one hand, Haj subsidy was stopped, on the other, 50% discount was given in the travel to Haj pilgrimage. However, Hindus have to pay a special tax to visit Kumbha Mela that is held once in 12 years. Even during the Kumbha mela that was held a month back in Prayagraj, initially the Railway Ministry had charged extra rail fare for millions of Hindu pilgrims heading for the largest human congregation globally. Only after a united opposition by Hindu organisations, did the Ministry waive it off. In short, today’s secularism has become ‘A law for the majority Hindus and benefit for the minorities’. All the problems of Hindus are facing status quo. Even today, the feeling of insecurity among Hindus prevails. At the social level, the image of Hindus is still that of a secondary citizen. The honour of the Scriptures, the science of Dharma, pilgrimage and temples in Hindu religion, which reflect the example of ideal life system to the mankind, are facing ruin. It has now become impossible to protect the interest of Hindus at the political level. The only solution for nurturing the true interests of the Nation and Hindu Dharma is to establish the ‘Hindu Rashtra’. The history of Chhatrapati Shivaji Maharaj, who laid the ideal of philanthropic Hindu Rashtra, is in front of us today ! However, the elite class denounces the demand of the ‘Hindu Rashtra’ as illogical. It should also be noted here that there is no place anywhere in the world where the existence of the majority population does not appear at the social and political level. That is why there are 157 nations of the Christians, 52 of the Muslims, 12 of the Buddhists, and the solitary one of Jews; however, not a single nation exists on the earth where the interests of 100 crore Hindus out of the world’s 700+ crore population, can be protected. This rule of the world, of naming the country after religion of the majority , was infringed by Congress . 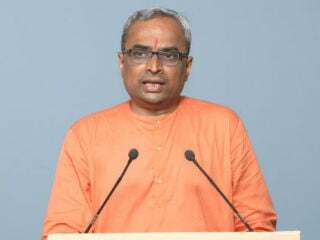 Therefore to announce India as the ‘Hindu Rashtra’, the 8th All-India Hindu Convention, which forms the series of Conventions being held since 2012 will be taking one more promising step in fulfilling the dream to establish the ‘Hindu Rashtra’.